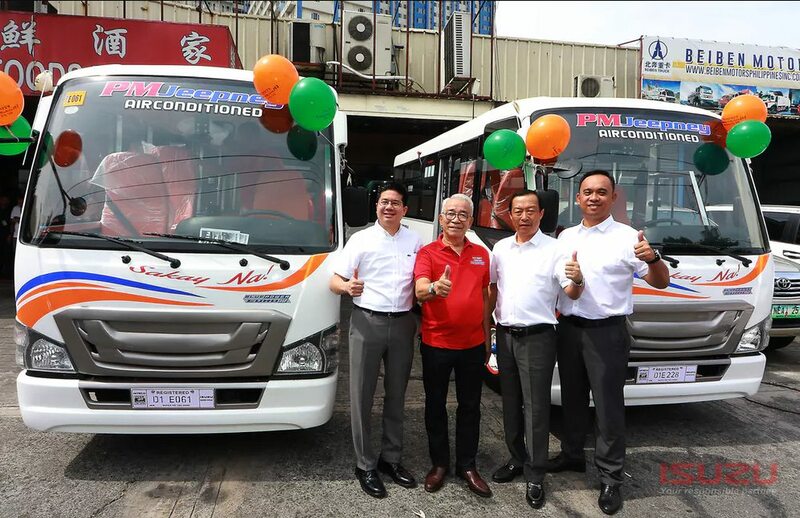 As the implementation of public utility vehicle modernization program continues, Isuzu Philippines Corporation recently turned over 15 units of modern PUVs to Pangkalahatang Sanggunian Manila & Suburbs Drivers Association (Pasang-Masda) transport group for Manila-Quezon City route. 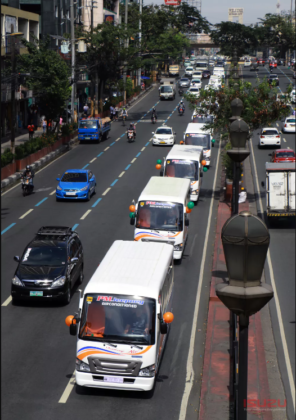 The new PUV units comply with Philippine National Standards set by the Land Transportation Franchising Regulatory Board. Each modern jeepney has a passenger cabin floor-to-ceiling height and gangway width are 1,780 mm and 830 mm, respectively, providing more space for passengers to move easily inside. The passenger door is located at the right-hand side, facing the sidewalk. Isuzu’s modern jeepneys include panoramic windows and windshield, full-body insulation with GeneQ shield, automatic door, ECE-compliant headlamps, brake system, wipers, windshield washer, side view mirrors, and area for persons with disabilities. Completing the features of the modern jeepney are the LCD/LED TV monitors, electronic signages, fire extinguishers, GPS navigation system, CCTV, dashcam and back-up cameras, and an automatic fare collection system (AFCS) installed by Euodoo Inc. All of these have been geared for passengers’ safety, entertainment, and added convenience in fare collection. The new PUVS have three-year or 150,000 km (whichever comes first) warranty coverages for cab, chassis, body, and aircon. The 15 modernized PUVs are assembled using the Isuzu QKR77 cab and chassis platform, while the rear body was designed by Almazora Motors Corp. The units are Sanden air-conditioned 23-passenger Class 2 PUVs with a side-facing seat configuration. “What IPC started for the Senate’s transport cooperative last June 18, we continued to expand to other key strategic locations in the country such as Iloilo. Now, we bring the efficiency, safety, and comfort of our Isuzu modernized PUVs right at the heart of the country’s vibrant socioeconomy, where an efficient public transport system is most needed,” said Isuzu President Hajime Koso. Present in the turnover ceremony are IPC President Hajime Koso, Manila Mayor Joseph “Erap” Estrada, Quezon City Mayor Herbert Bautista, and officers from Pasang-Masda headed by its president Obet Martin.